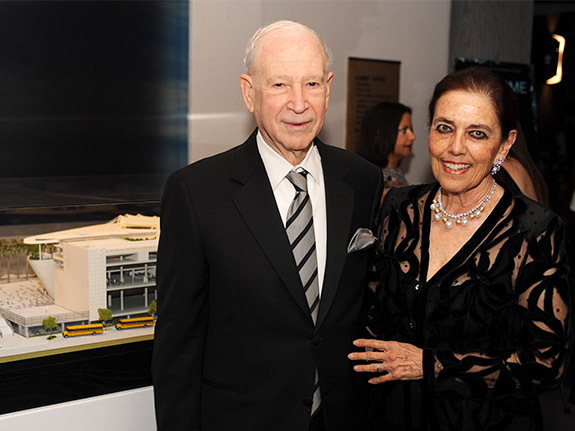 Longtime supporters of South Florida’s arts and culture, Dr. Phillip and Patricia Frost committed $35 million dollars in 2011 to name our new home in downtown Miami’s Museum Park. 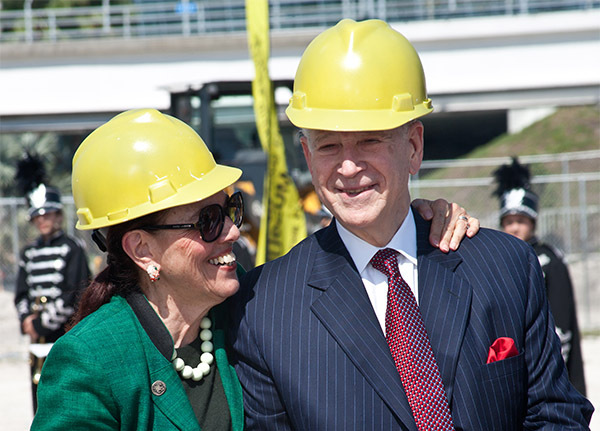 In 2015, the generous couple made an additional $10 million gift to support the new museum’s state-of-the-art planetarium. We are extremely grateful for their continued support, allowing Frost Science to be a center for learning and innovation for everyone to explore the impact of science and technology on our lives. Our hope is that youth will receive the highest quality learning opportunities through Frost Science and that they will be exposed to, inspired by and informed through science and technology. This is a commitment to shape, strengthen and hone the educational core of our youth, which will in turn expand the scientific base of this nation and its ability to compete abroad. Dr. Phillip and Mrs. Patricia Frost are generous supporters of education and the arts and are renowned collectors. In 1986, they gave their 113-piece collection of American abstract art to the Smithsonian Institution. 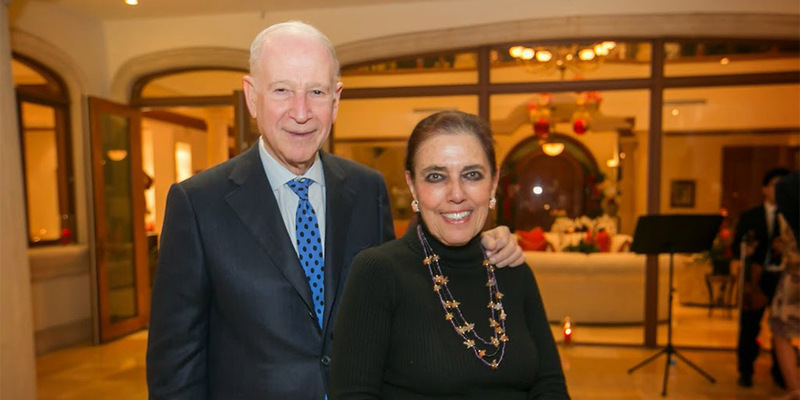 In 2004, they endowed The Patricia and Phillip Frost School of Music at the University of Miami, and in 2006, they were the lead donors for The Patricia and Phillip Frost Art Museum at Florida International University. In 2015, the University of Miami opened the new, state-of-the-art, Patricia Louise Frost Music Studios, a space for music students and faculty. The Frosts have recently initiated a scholarship program for graduates of Florida state universities and Israeli universities to study at Oxford University in England. The program is designed for the students to earn Master’s degrees in the sciences, engineering and mathematics. Patricia Frost, former educator, served as the Principal of Henry S. West Laboratory School, the educational research center for the Miami-Dade County Public School and the University of Miami, for 23 years. Mrs. Frost was a Trustee of Florida International University and chairman of the Board of Directors of Florida International University. Mrs. Frost is Chairman Emeritus of the Smithsonian American Art Museum Commission, Honorary Chairman of The National Board of the Smithsonian Institution, and a member of the Florida Board of Governors of the State University System. Mrs. Frost was named Educator of the Year for her work at Florida International University and with the Miami-Dade County and Broward County public school systems. She received her Bachelor of Science Degree at Colby College, and a Master of Arts Degree from Columbia University. Dr. Phillip Frost is Chairman and CEO of OPKO Health, Inc., a Miami-based healthcare company involved in the discovery, development and commercialization of proprietary pharmaceutical and diagnostic products. He serves as Chairman of the Board of Ladenburg Thalmann, a diversified investment bank incorporated in 1876. Dr. Frost previously served as Chairman of the Board of Directors of Teva Pharmaceutical Industries Ltd., the world’s largest generic pharmaceutical company, headquartered in Israel, which also develops and sells proprietary pharmaceuticals and active pharmaceutical ingredients. From 1987-2006, Dr. Frost served as Chairman of the Board of Directors and Chief Executive Officer of IVAX Corporation, a global pharmaceutical company. When IVAX merged with Teva Pharmaceutical Industries Ltd. in 2006, he became its Vice Chairman; in 2010, Chairman. Phillip Frost was Co-Vice Chairman of the Board of Governors of the American Stock Exchange from 2005-2008. He is past Chairman (1972-1990) of the Department of Dermatology at Mount Sinai Medical Center in Miami and is a current Trustee of the Medical Center. He is the former Chairman of the Board of Trustees of the University of Miami, where he still serves on the Board, a former Trustee of The Scripps Research Institute, and a former Regent of the Smithsonian Institution.